Bhubaneswar(Samaya Bureau): In his editorial ‘President Election- Dalit vs Dalit’, Bhartruhari Mahatab, senior BJD leader and MP from Cuttack Lok Sabha constituency has questioned BJD’s support to BJP nominee Ram Nath Kovind for the post of President. , The BJD MP wrote that Naveen Patnaik should have waited till UPA’s declaration of its candidate. ”At a time when BJD was maintaining equidistant from both NDA and UPA, the party should not have announced its support to Kovind in a hurry. Mahatab, has been in the eye of many a storm for his writings and has rattled the feathers of many by writing his columns. Many senior leaders have expressed their displeasure over his writing about party matters in his columns. Some leaders have asked him to talk to the CM on such issues rather than going public. Mahatab has been taking jibes at the party over its style of functioning and this write up is going to raise many eyebrows. 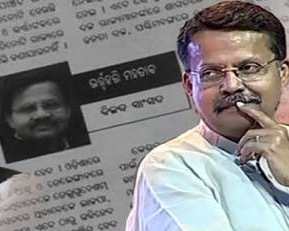 It may be noted that Mahatab is the leader of the BJD party in the Lok Sabha.